Taking a cue from Chyng and Reda, who both contracted the services of Mang Johnny (mobile numbers +639202224687, +639275743315, or message him on Facebook), I quickly fired off a series of text messages, inquiring about his rates and the things he can provide for us. I’m not an outdoorsy person, so I only camp when I know there’s someone else doing the grunt work for me. We were lucky because Mang Johnny basically did everything: from providing the boat that would take us from San Miguel to Anawangin, Nagsasa and Capones island, buy ingredients from the local market and cook it at the camp site, provide and pitch tents for us. He even let us take a shower in their house when we got back to San Miguel, so we can wash off the salt from our body before heading back to Manila. So did Nagsasa live up to my expectations? It certainly did. Though it’s quite secluded, tourists are now flocking to the coves, which meant finding empty bottles of beer at the beach, lines at the communal toilet, and noisy neighbors when you’re being lola and trying to get some sleep before midnight. Still, it was very pretty. It was serene and swimming there was much nicer than in Anawangin and Capones. I can see myself returning there, although probably not on a weekend. whoaaa! sayang di tayo nag-abot. andyan kami nila dom, oman at allan 2 weeks ago. 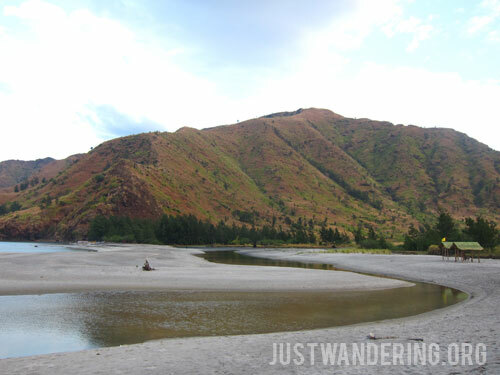 nagsasa cove ang pinakafavorite kong place sa zambales kaya every year ko itong binabalikan. Wonderful post. I should have the courage to do this myself. I noticed you had trikes for land transportation. Is that optional or are there other modes of transport, like vans or buses? I’m just wondering, in case large families travel to the area and the like. Still, you can’t beat that price. I loooove the seclusion. Looks like a place you can just relax and enjoy the view without others spoiling the fun! Oh yeah, what’s your favorite part of the trip? In the small town, there’s really no other way to go around unless you brought your own car. It was a pleasant ride, about 10 minutes. My favorite part of the trip was just lying on the shallow part of the water and feeling the gentle waves lapping on my back ? cute souvenir! singkamas! my fave! Wow Nagsasa.. I wanna go there too! 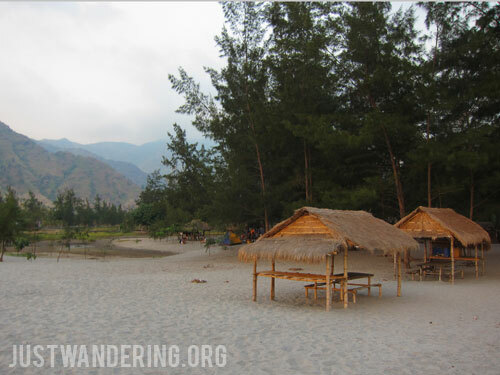 I’ve been to Zambales last year but only in San Felipe..
Hello po! Great post po. I wish I could have the courage to go there too. Anyway, it seems to be early for me to do so. I do hope to have experience what you have too. Good luck and More power po! Nice and very helpful blog post! Wouldn’t mind going there using info provided here. Whoah! You’ve also been to Nagsasa! Hello… I really want to go travelbut I have a tight budget… But na inspire ako sa blog mo with prices talaga… haha… Do you mind telling me the bus liners, where makaksakay… Thanks so much!!! Great post! Thanks for itemizing the total expenses one should prepare if he plans to visit Nagsasa. This should really be helpful. Thanks! ayun, thanks sa info Nina, baka sa May na kami punta dito after elections hehe. Sana mapagsabay namin El Nido at yung mga tourist spots sa Zambales. More power to you! Nagsasa looks absolutely out of this world Nina. Will you visit again? Anymore highlights not mentioned in the post? i missed going to this place, my friends invited me to come here new year’s eve of 2010. I had to drop the invitation. almost 2,000 petot. is that for 1 person only? i’m thinking of going there with my wife. Hi Ate nina. I just want to ask if that Total: PHP 1,973.00 is per person or how many po yung kasama niyo and if ever I will be travelling alone po. Magkano po magagastos ko? Ay ok. If ever po ate nina okay lang po ba sumama sa inyong next trip. Mahilig kasi ako mag travel kaso yung mga close friends ko hindi kaya mag isa lang ako parati. Wait ko po reply niyo.